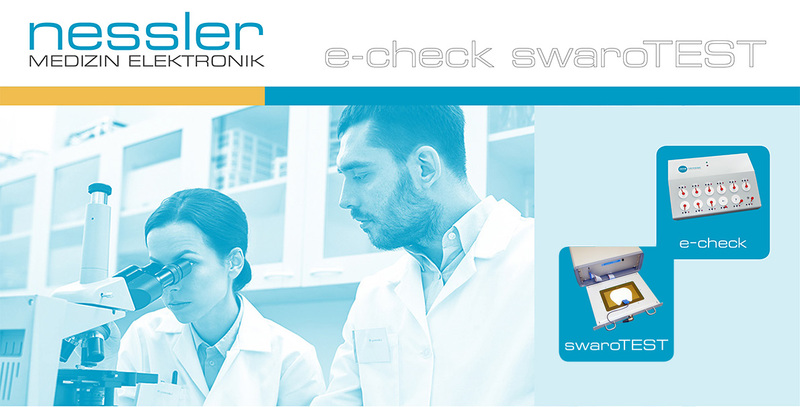 In cooperation with Innsbruck University NESSLER have developed testing devices for disposaable ecg electrodes and disposable electrosurgical neutral electrodes. With these devices it is possible to do the product quality checking in accordance with the international Standards such as AAMI EC12 and IEC 60601-2-2 and the former AAMI HF18. Such quality checking is in many cases the prerequisite for the CE Marking, i.e. the ISO Certificates for ecg electrodes and neutral electrodes. NESSLER were manufacturers of swaromed ecg-electrodes and SWAROPLATE neutral electrodes for decades until they sold the production in 2013 to Graphic Controls/Vermed. 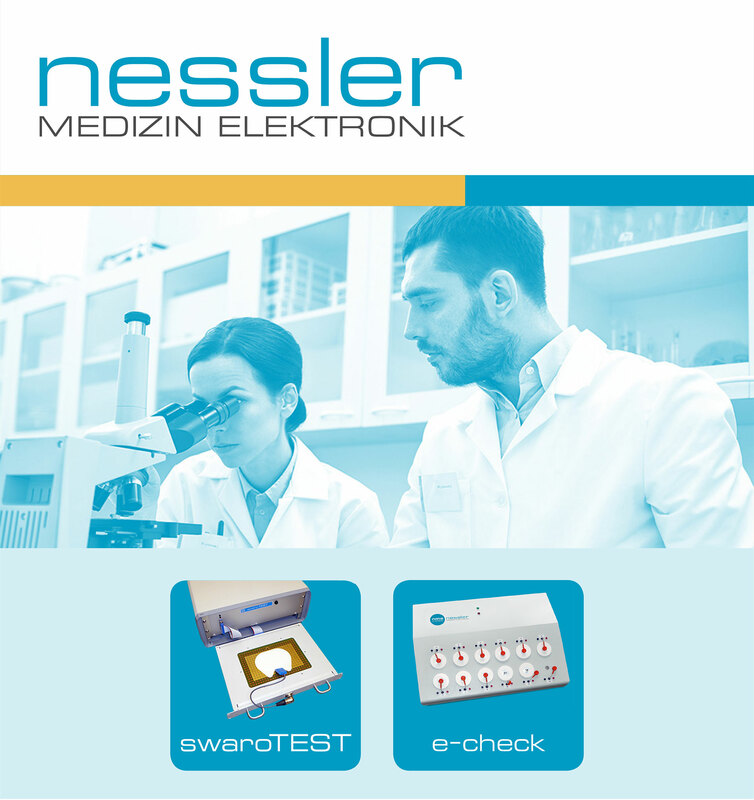 However, the members of the NESSLER family continue their activities in NESSLER MEDIZIN ELEKTRONIK GMBH and their quality testing devices are sold worldwide under the brand names e-check and swaroTEST.